Written by Joseph Staffieri on 29 November -0001 . The fall season has arrived! Its great to see our many friends returning to enjoy a great winter. There are many things we look forward to sharing, our golf course is in great shape, our tift eagle greens are in superb condition, and we have once again overseeded our fairways and tees. Thanks to the tireless efforts of our maintenance crew, Pinecrest continues to improve and is poised for yet another great season. Our clubhouse has been completly renovated, the dining room, a new bar has been constructed and the bathrooms have had a complete makeover, as well many kitchen upgrades. The exterior has been cleaned, repaired and painted. 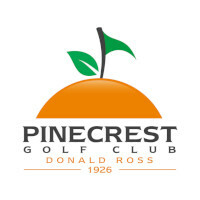 Please make plans to visit and see for yourself the many great things happening at Pinecrest.